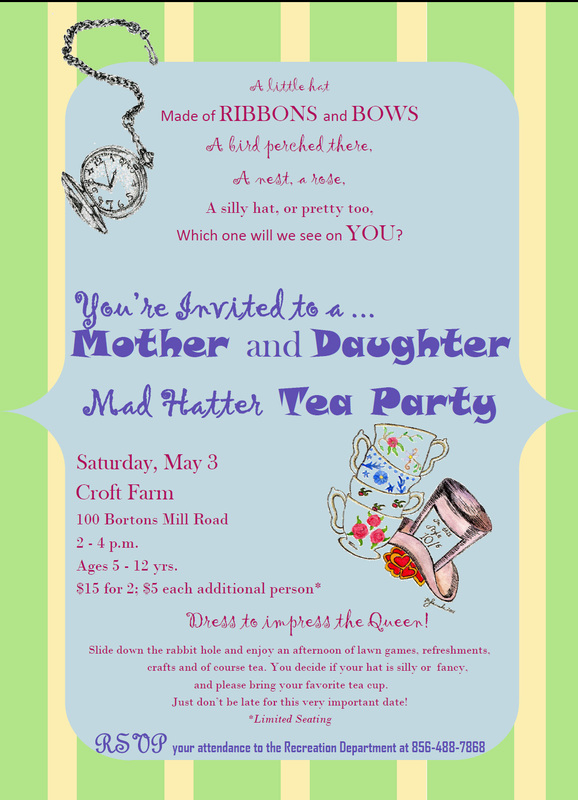 You're invited to a Mad Hatter Tea Party this Saturday at Croft Farm! Which one will we see on YOU? RSVP your attendance tot he Recreation Department at 856-488-7868 or Events@CHTownship.com.